You can never go wrong with a classic pearl piece, this time with a bit of an edge. 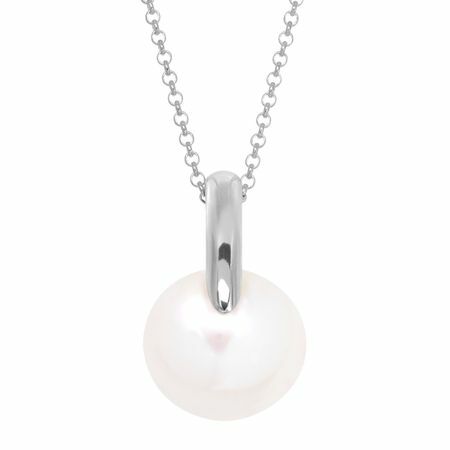 A 12-13 mm freshwater button pearl is secured by a 14K white gold "hook" for a minimal and offset design that will pair with anything. Piece measures 3/4 by 7/16 inches. Comes with a 14K white gold 18-inch cable chain with a lobster clasp.